Happy Friday friends! 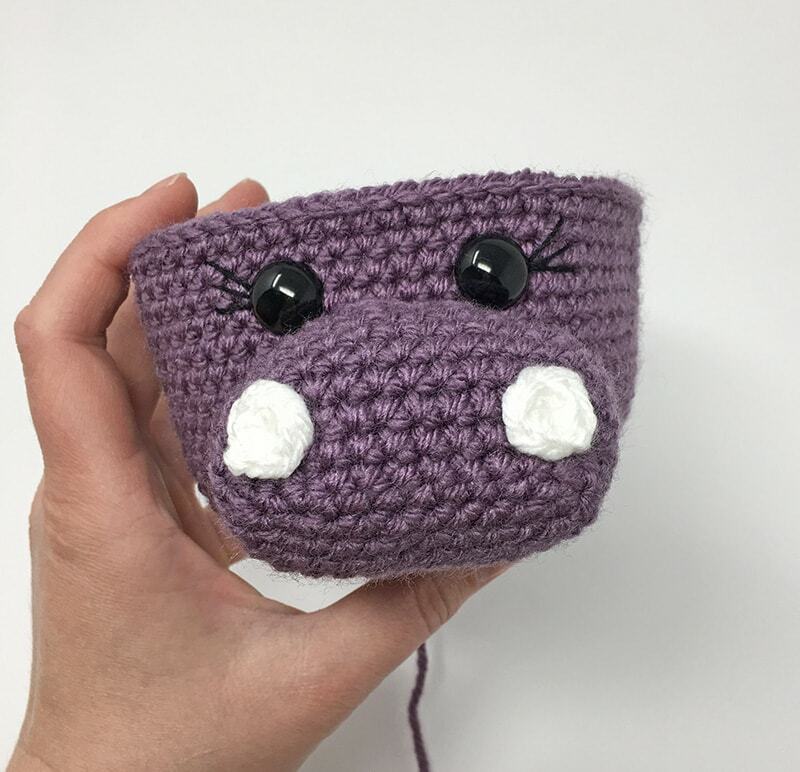 I'm excited to share this hippopotamus pattern with you. 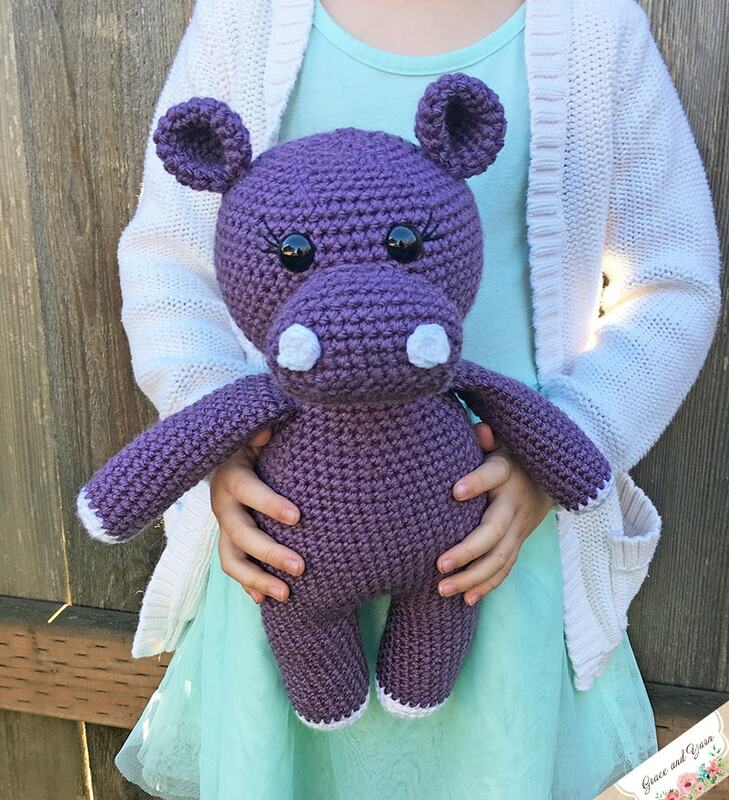 I have always loved hippos and was thrilled to create this cuddle sized friend for my daughter! My two oldest girls turn 6 next week, one requested my variegated llama I was already working on and one wanted a purple hippo. Because it's also Christmas time, I had the song 'I want a hippopotamus for Christmas' in my head every time I sat down to crochet. My daughters will share that I even sang it out loud from time to time! I made my hippo in a girl version with eyelashes but you could easily exclude them for a boy version. They would also be super cute in a grey or blue color! You will want to be familiar with working in a magic circle, changing colors, and using invisible decreases for this pattern. 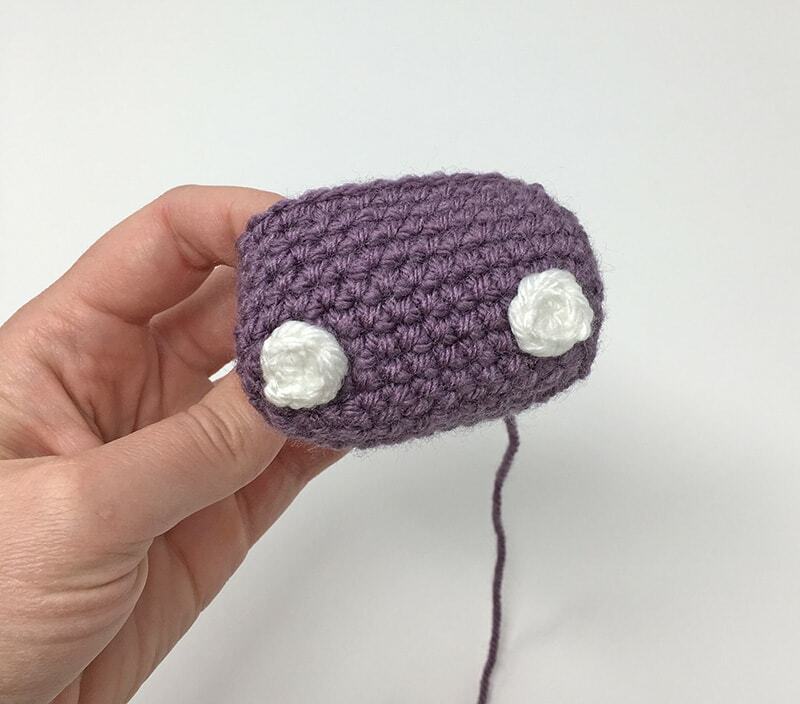 I have a mini photo tutorial for each of theses methods in my Tips to Learning Amigurumi, plus some extras to help along the way. If you'd like to be notified when new patterns are released you can sign up for my newsletter here! 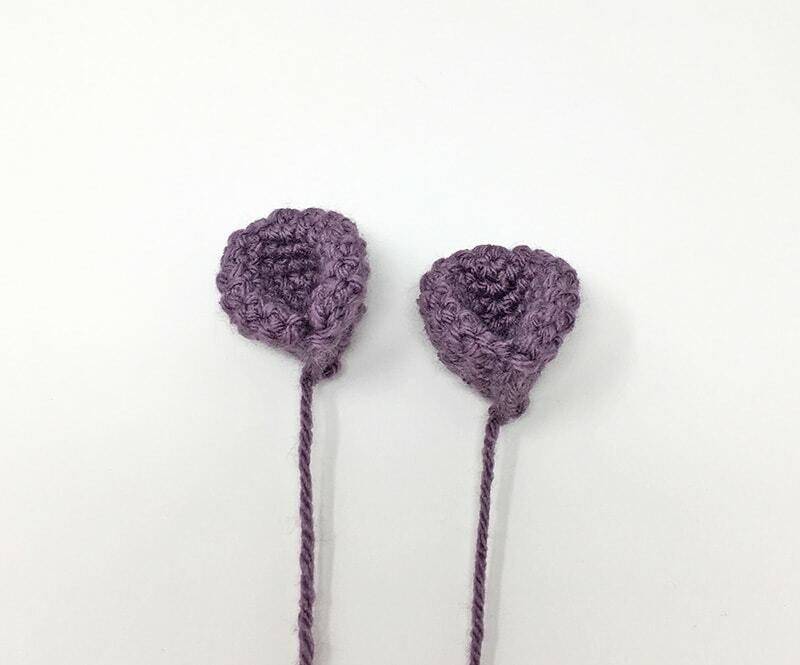 Be sure to also join the Grace and Yarn Crochet Group on Facebook where you can share your work, ask questions and interact with others who have a passion for crochet! I use plastic safety for the majority of my projects (like this one) but when I am making them for children under 3 I love to use these as an alternative instead! An ad-free printable version is also available in my Etsy and Ravelry shop! 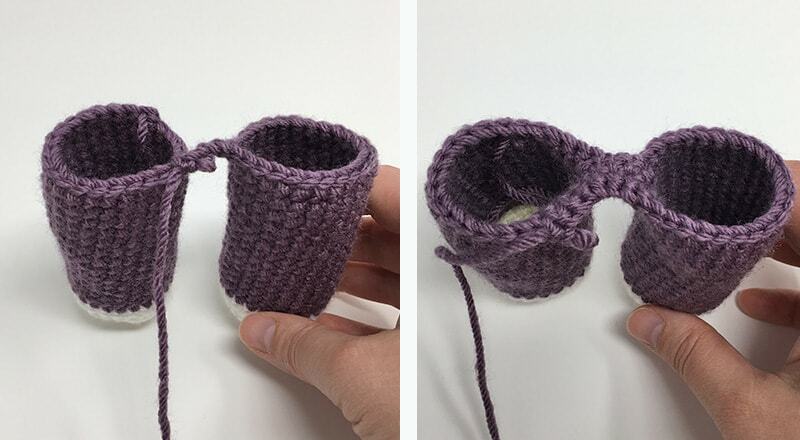 PIN to your crochet board here! Each hippo measures approximately 13 inches tall. 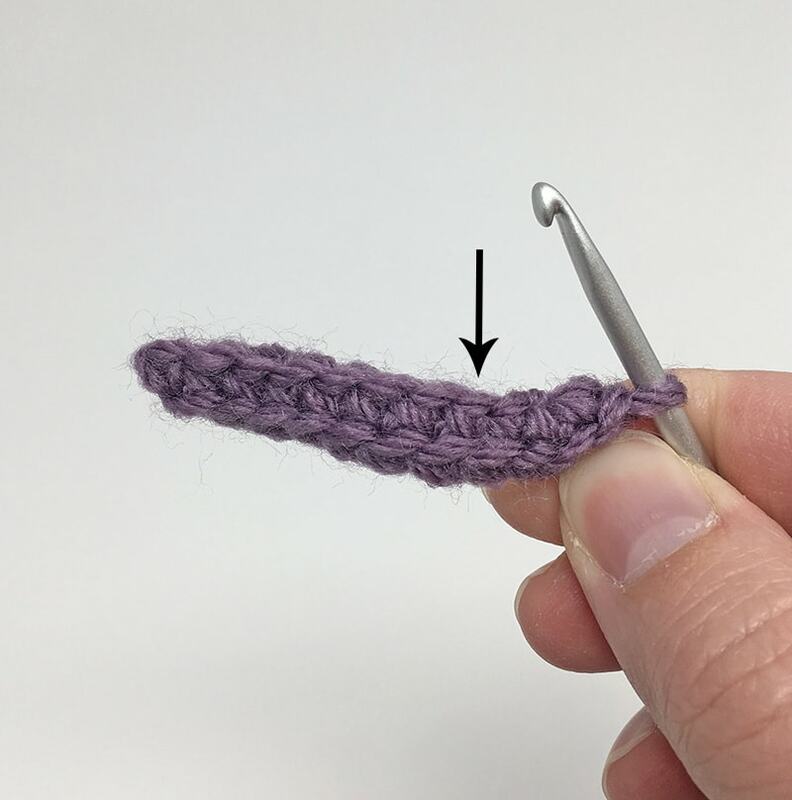 We will be working in continuous rounds, I recommend using a stitch marker either at the beginning or end of each round. Slowly stuff as you go, you want it to be firm but not stretched. We will be making the legs first and then joining them together to make the body. Fasten off only on the first leg. Fasten off on the first leg only, continue to round 21 once your 2nd leg is complete. Round 21: Chain 3 and attach to the first leg with a SC, SC in the remaining stitches around the leg. When you reach the chain, make a SC across each of the 3 chains, SC in the remaining stitches of the next leg and SC across each of the 3 chains again. You will now have SC on both sides of the chains, this acts as a bridge to join the legs together. (54) This completes your join and is where your next round will start. This piece is worked crocheting on both sides of the foundation chain to create an oval shape. You will want to keep your chain fairly tight to help avoid the look of 'holes', we will also be working in the round. Fasten off leaving a long tail for sewing. Next, sew a nostril onto each side of the snout. Here is where we will attach the facial features. Place your eyes 5 stitches apart between rounds 18-20. Add eyelashes or eyebrows to your liking. Next, sew the snout centered between the eyes, stuffing as you go. Fasten off leaving a long tail for sewing onto the head. Use part of the tail to fold the ear in half and sew across to create a fold. 2. Sew your head onto the body making sure to have the facial features centered. Be sure to stuff the neck firmly as you go. 3. Lastly, sew the arms onto the body at round 45. Your hippopotamus is complete! Feel free to add a bow like the one used for Katie the Koala or a bow tie like the one used in the Berry Patch Bunny pattern! I hope you've enjoyed making this pattern as much as I have, please let me know if you have any questions along the way, I'd be happy to help. Thanks so much for stopping by! OMG. 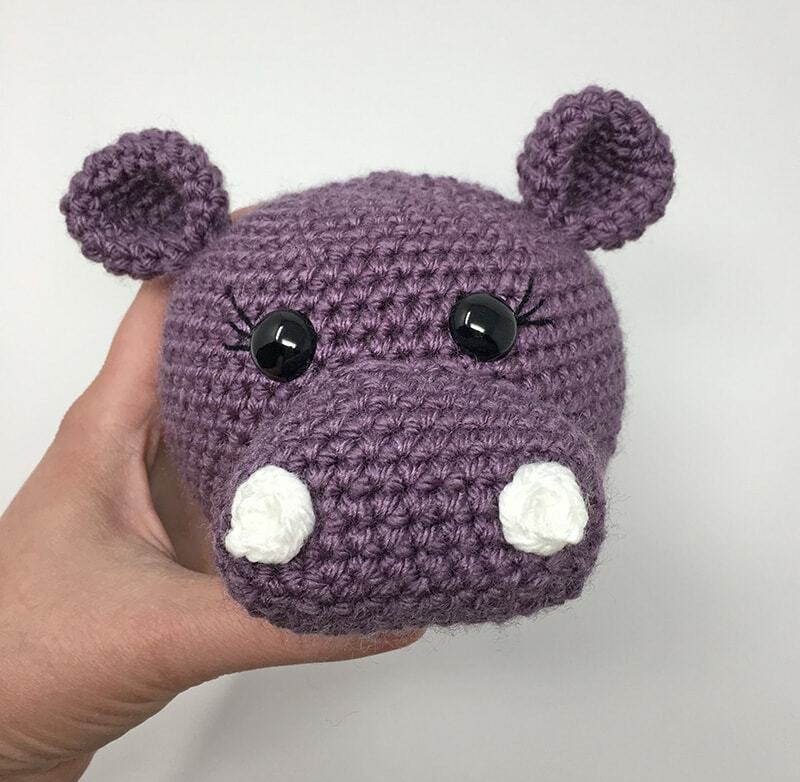 I was listening to this song this morning and told my husband I want a hippo and here you are sharing a pattern for free! And my favorite color purple, you are awesome! This is an absolutely amazing pattern! And it's so wonderful of you to share it for free. I'm going to start by making one for my sister. Even though we are both old ladies now that song you mentioned always reminds her of me...I'm 14 years older...but the song came out when she was a very small child and I may have sung it to her a few times. They also say that Hippos in your home protect your home and since she lives alone I want her protected...I don't really believe in that actually but it's a good thought. Anyway, thank you so very much. I was looking all over for the right pattern and this is it. Hi Ruth! I'm so glad you've enjoyed it! What a sweet gift for your sister, I love it!